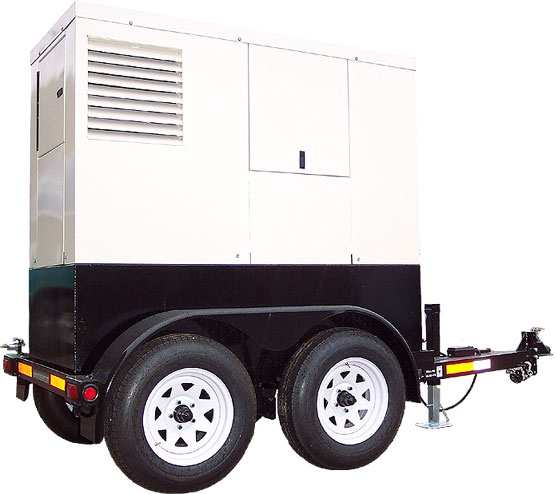 Mobile 55,000 Watt Diesel Generator - Bring the power to where it's needed! 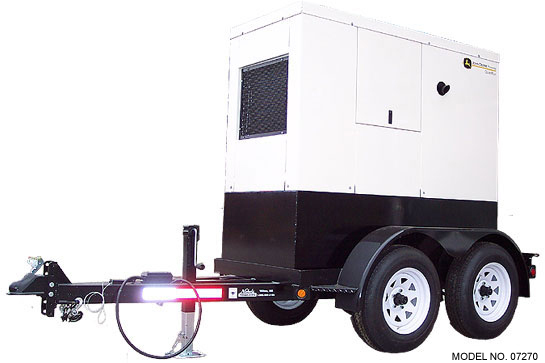 This mobile generator has plenty of power to light up your home, job site or business. 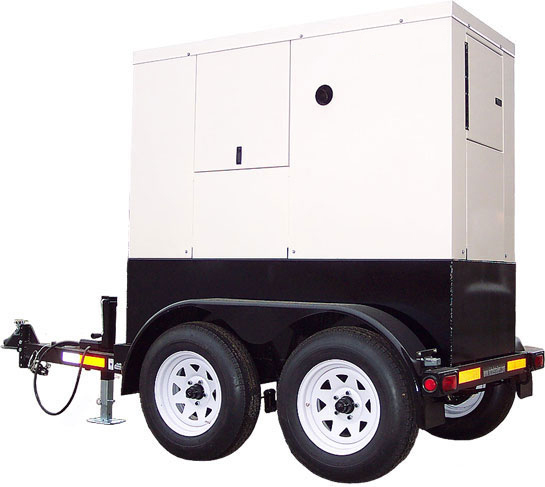 This unit operates at 1800 RPM and comes with a muffler and 4 point vibration mounts for quieter operation. This unit features a 4.5L John Deere 4045TF diesel engine, direct injection, cast iron crankcase with replaceable wet-type cylinder liners, brushless generator end, solid state automatic voltage regulator w/ stability adjustment and underspeed protection, turbocharged aspiration, extended 500-hour oil change and filter interval, single-side service points, liquid cooling, residential-grade muffler, replaceable foam air filter element, control panel with hour meter and single-axle trailer with built-in 60 gallon subbase fuel tank. Bore & Stroke 4.19" x 5.00"